Illustrations are one of the most important cueing systems which children can draw on to help them make sense of print. It is vital for educators to understand how to make full use of illustrations in picturebooks, and to be able to help all learners to respond to pictorial cueing systems in order to learn to read and read to learn. 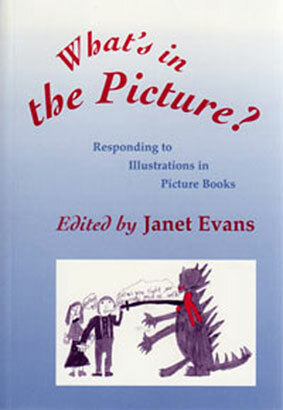 This book deals with some of the many issues involved in using picturebooks with 3 to 11 year olds. It considers their role in early literacy, in developing reading skills, in intellectual and emotional development and as a learning resource. It also looks at their use in extending children’s thinking and as an aid to aesthetic development. One of the major themes of the book is the interaction between what readers bring to a text; their responses to a text and the polysemic nature of the text itself. This book includes contributions from leading writers in the field, as well as a unique interview with Anthony Browne, winner of the coveted Hans Christian Anderson award. Visit the Sage Website for more information and to purchase the book.